Our martial arts school TheDOJO is located at 52 Park Avenue in Rutherford NJ 07070 USA (Get Directions to TheDOJO HERE Google Maps). We are right next door to Dunkin' Donuts & Across The Street from The Williams Center. We are a brief 2 minute walk up from The Rutherford Train Station making us easily accessible by both train & bus. We are about a 20 minute train or bus ride from New York City. Owner & Master Teacher Sensei Dan Rominski unleashes human potential at our martial art school TheDOJO in Rutherford NJ. With over 33 years of expeirence in teaching & studying the martial arts his unique ability creates an environment comfortable for the novice & comprenhensive for the most advanced practitioner. Sensei Dan Rominski is a Martial Artist & Sensei at TheDOJO, his martial arts school in Rutherford NJ. With over 33 years of experience he not only teaches the punches & kicks of the martial arts but he also teaches people of all ages how to manifest the qualities of the martial arts outside of the realm of a punch kick or throw & into their everyday life. In other words out of TheDOJO & into the WORLD! Through interesting projects & ideas he unleashes human potential by inspiring his students to "make a difference" not only by executing beautiful & proficient martial art techniques but by also executing beautiful & proficient ideas. This is accomplished through the power of taking action. 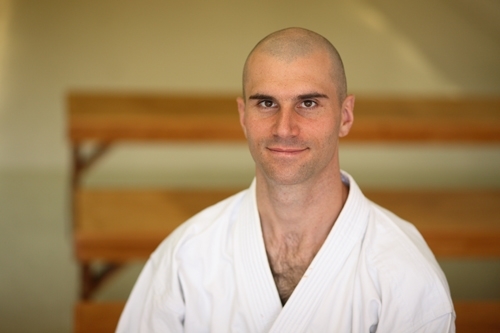 TheDOJO is "co-operated" with Sensei Dan Rominski, his wife Kim Christian & a team of very dedicated individuals.